We believe that by offering superior quality service along with competitive pricing, Detroit Face Painters can expand it's customer base and become a mainstay business of the local community. 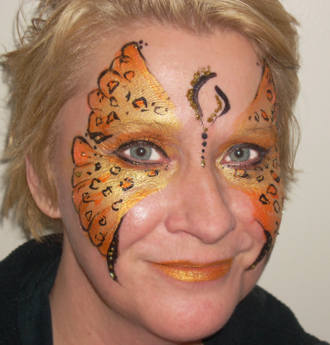 Detroit Face Painters offers multiple entertainers to service the Detroit Metro and northern Ohio areas. Detroit Face Painters' mission is to provide our customers with the highest quality of service available. We pride ourselves on being able to offer multiple professional services at a reasonable price. We strive to offer you the professional and personal touch that you only get with a small, family owned and operated business. We have been trained by some of the most professional artists in the business; including the world famous Wolfe Brothers! We have painted for many local and regional venues. You may have seen us working at any number of festivals, art shows, grand openings, birthday parties, fund raisers, block parties, or school functions... just to name a few.